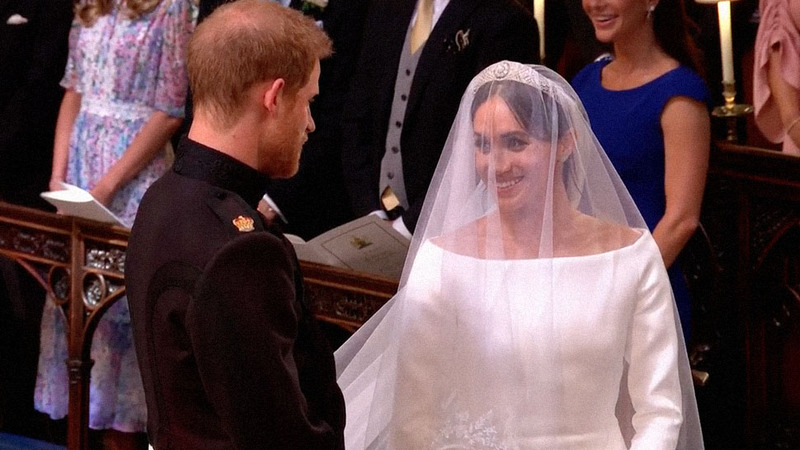 Was Meghan Markle's Wedding Dress a Nod to Princess Angela of Liechtenstein? The gowns are so similar. 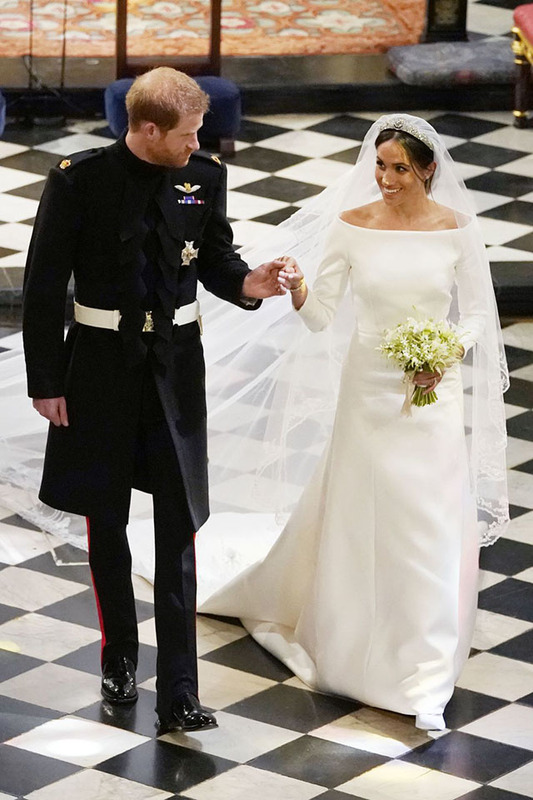 When Meghan Markle married Prince Harry last weekend, she surprised everyone when she got out of the car at Windsor Castle wearing a Clare Waight Keller for Givenchy gown. 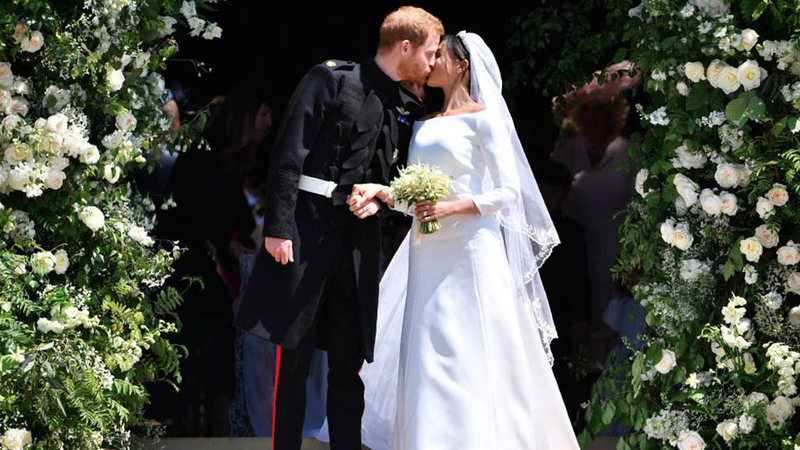 Even though the designer was unexpected, the timeless quality of the wedding dress had people drawing comparisons to Audrey Hepburn's Givenchy looks from the '50s. 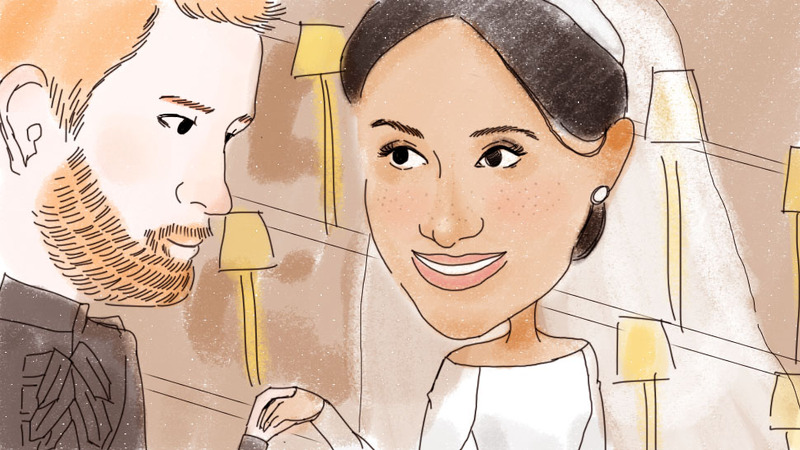 But Meghan Markle isn't the first royal bride to look absolutely stunning in a boat neck wedding gown, Yahoo 7 Be noticed. 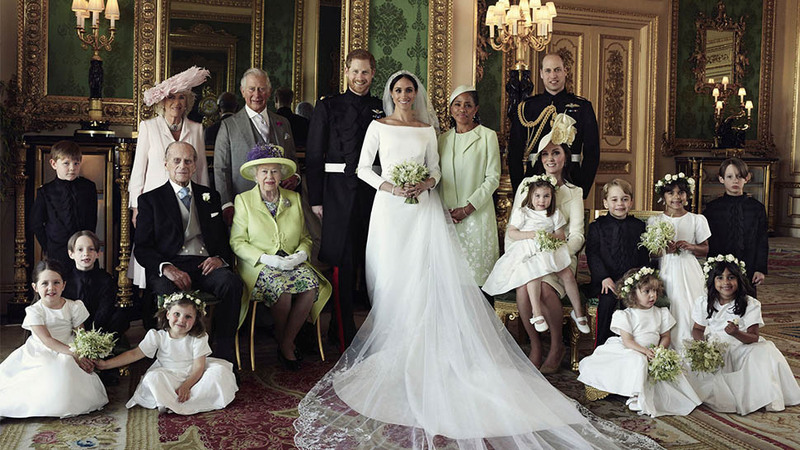 Take a look at the Duchess of Sussex's wedding dress here. 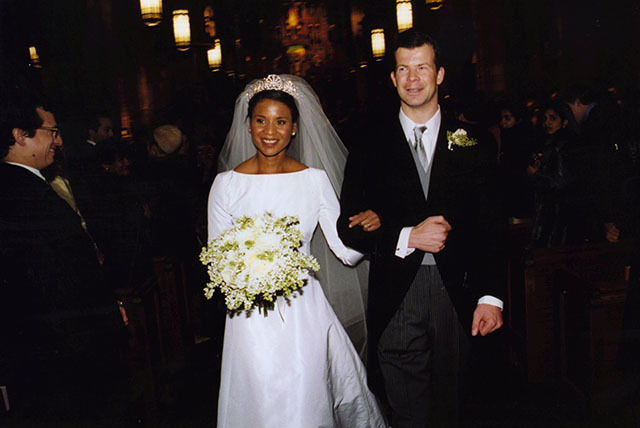 Then look at the one Princess Angela of Liechtenstein wore when she married Prince Maximilian of Liechtenstein in New York City back in 2000. Both dresses have bateau necklines and share the same clean, modern aesthetic. 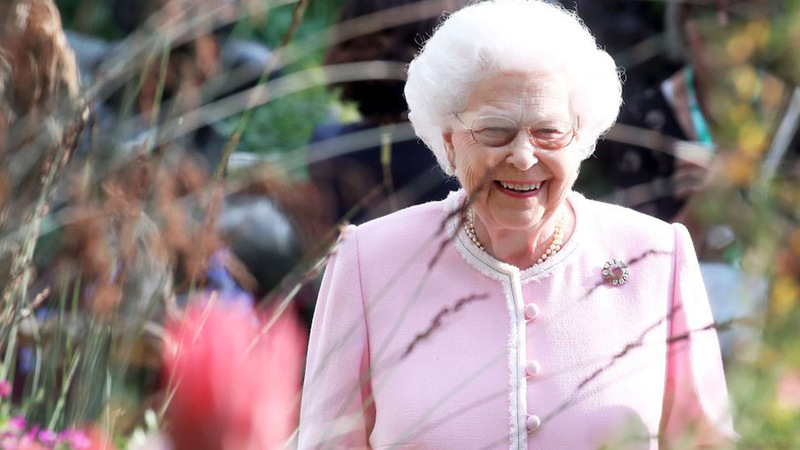 While Meghan Markle's neckline was a bit wider than Angela's, both women kept their jewelry simple and accessorized with tiaras worn far back on their heads, flowing veils, and their hair pulled into low buns. 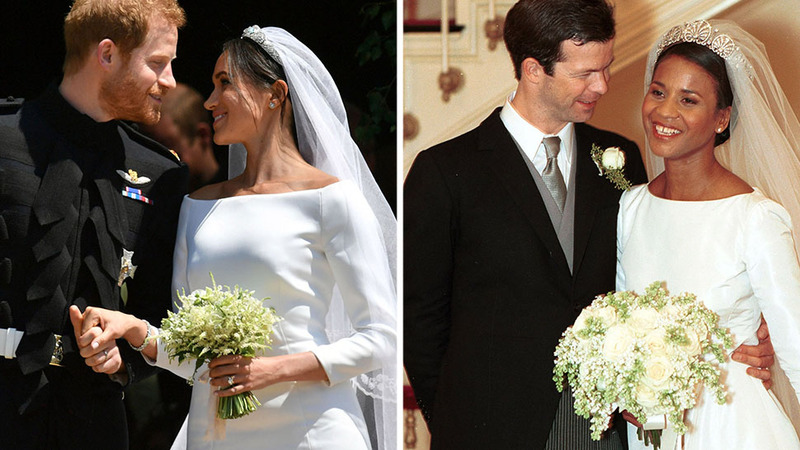 While it may be a total coincidence, the dresses are so similar one has to wonder if Meghan Markle drew inspiration from Princess Angela of Liechtenstein, whose husband is fifth in line to the throne of the German-speaking principality located in between Switzerland and Austria. 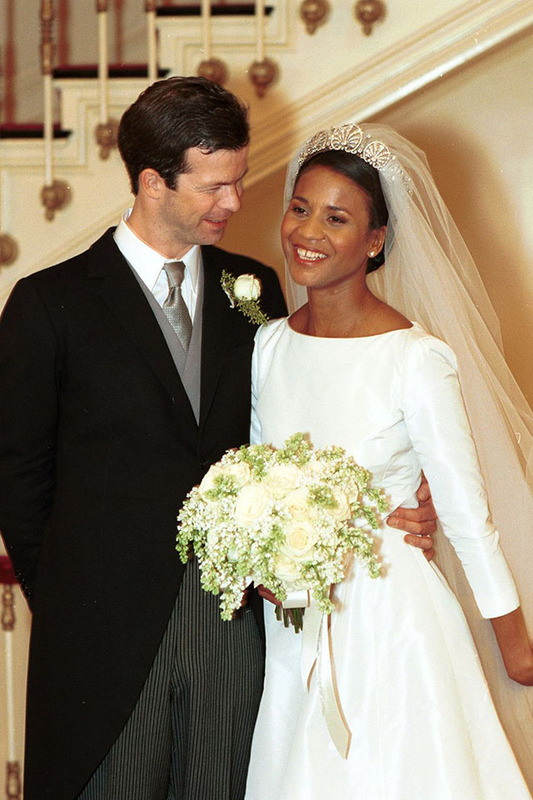 Known as Angela Gisela Brown before her wedding, Princess Angela, who is also of African heritage, was born in Panama and eventually moved to New York where she met Prince Maximilian in 1997 at a party, Yahoo reports. 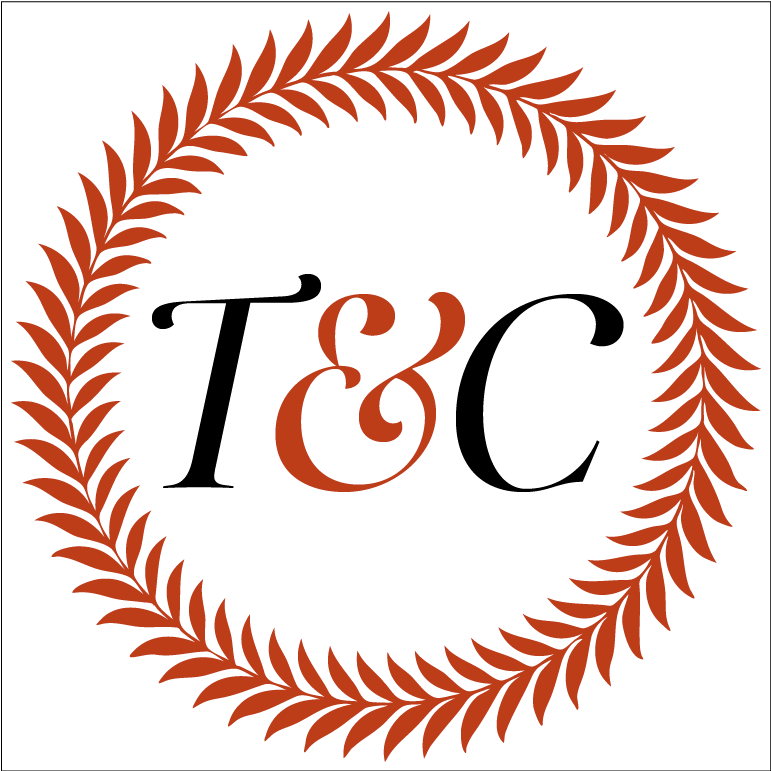 A designer in her own right—she attended Parsons School of Design—Princess Angela ran her own fashion label and designed her own dress for her wedding at the Church of St. Vincent Ferrer in New York's Upper East Side neighborhood. 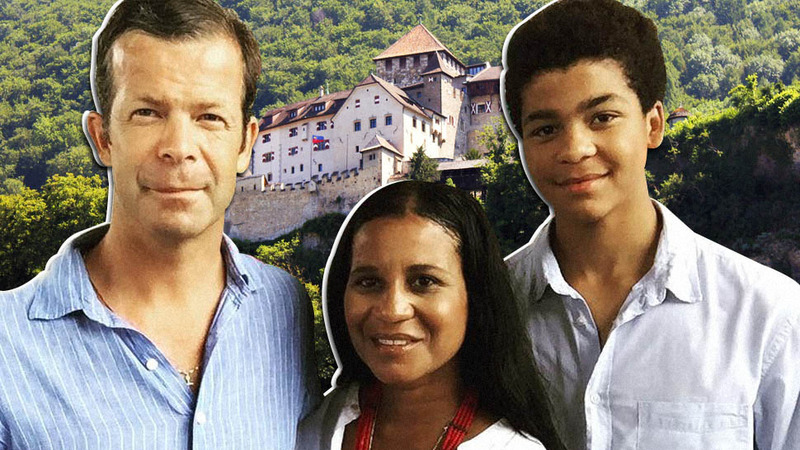 Angela and Maximilian have one son, Prince Alfons of Liechtenstein, who was born in 2001.